Gut bacteria, or gut flora, play a massive role in our overall health from building the body’s immune system, to affecting our moods to being the energy-extractors from the food we eat. Researchers are only just beginning to understand the many ways that gut flora composition influences our health. Gut flora make up more than 100 trillion cells in the human body! The absolute best food that scientists have found to improve gut flora is kefir. Made from any type of milk, including cow, goat, sheep, coconut, rice or even soy. Like yogurt, kefir is a cultured milk product with a tart taste, and is made with either powdered starter or kefir grains (made of bacteria and yeast). 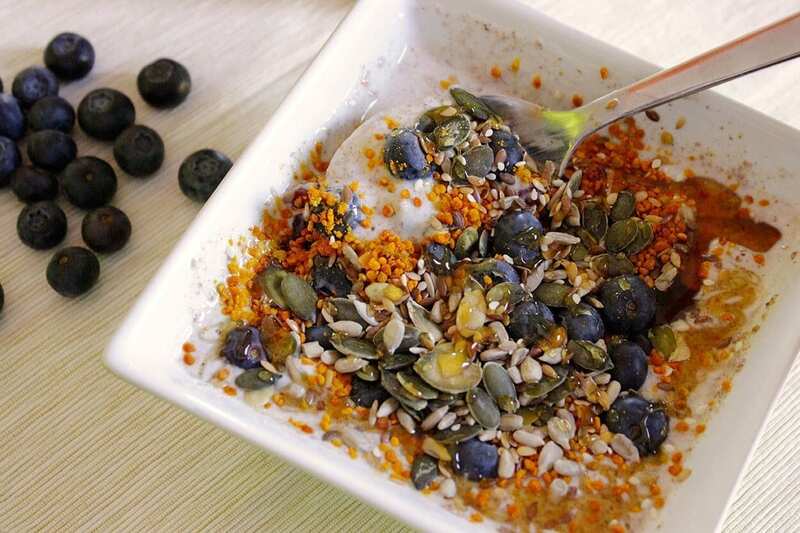 Here at The School of Natural Health Sciences we’ve created the ultimate breakfast featuring gut-glorious kefir, digestive-aiding ground flaxseeds and rejuvenating blueberries. Get the recipe right here. The Jerusalem Artichoke is commonly served as a more refined substitute for the potato. Eaten both raw and cooked, they have a mild nutty flavour with a slightly sweet aftertaste, which is nothing like a potato, or an artichoke. They are usually 8-10cm in size and have the appearance of a ginger root. They can be seen in a range of colours from off-white, pale brown, purple and and red. Not only are they fabulous for gut flora due to their prebiotic properties, they’re also highly nutritious, containing potassium, phosphorus, B vitamins, iron and lots of prebiotic dietary fibre. Probiotics are healthy bacteria found in live-culture fermented foods, where as a prebiotic is a special form of dietary fibre found in certain vegetables which act as fertiliser for the good bacteria. Probiotics are sometimes prescribed by doctors to patients who are taking antibiotics, in an attempt to replenish the good bacteria being killed off by the medicine. Prebiotic fibre is quite difficult to consume in large amounts due to their small quantities found in the foods containing them. Often, a supplement is taken by those who struggle with imbalanced gut flora. These supplements should ideally only be taken when prescribed or suggested by a medical practitioner. If you don’t have an imbalance, you don’t need to mess with your bodies natural process of maintaining gut flora. Jerusalem artichokes are sweet and almost garlicky and mushroomy and gorgeous. Although called artichokes they’re actually tubers – like rough and ready potatoes. You can scrub and roast them whole like mini jacket potatoes and split them open, drizzled with a little chilli oil. You can even use them in a salad with smoky bacon. A Jerusalem artichoke’s best friends are sage, thyme, butter, bacon, bay, cream, breadcrumbs, cheese and anything smoked. Personally, I think they go well with both meat and fish and are particularly good in a plate of antipasti, or in soups or warm salads. Peel the Jerusalem artichokes, then cut them into chunks. 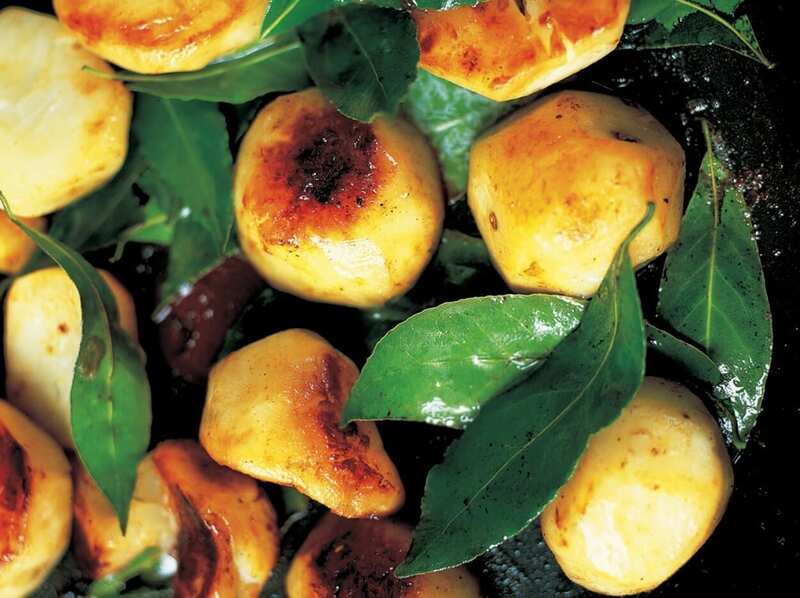 Place them in an oiled frying pan and fry on a medium heat until golden on both sides, then add a few bay leaves, 2 cloves of garlic, finely sliced, a splash of white wine vinegar, some salt and pepper, and place a lid on top. After about 20 to 25 minutes they will have softened up nicely and you can remove the lid and the bay leaves. Continue cooking for a couple of minutes to crisp the artichoke slices up one last time, then serve straight away. Fermented foods by their very nature are quite acidic, forcing the valuable microbes to evolve and sustain themselves in acidic conditions. This means that they’re able to survive your stomach acid, making their merry way down to your intestinal tract where they colonise with gut-friendly bacteria. The famous cabbage condiment which has been a staple food in Germany since the 1600s is brimming with probiotics. Unfortunately, the popular pickling method using a vinegar solution for mass production leaves the cabbage void of active bacteria. Most canned sauerkraut you’ll find on grocery store shelves or atop a hotdog in New York will use this bacteria-less method. To make traditional sauerkraut, cabbage is fermented with live cultures in a process called lactic acid fermentation. To get the probiotic power, it must be eaten fresh, (a rule that applies to most other foods). 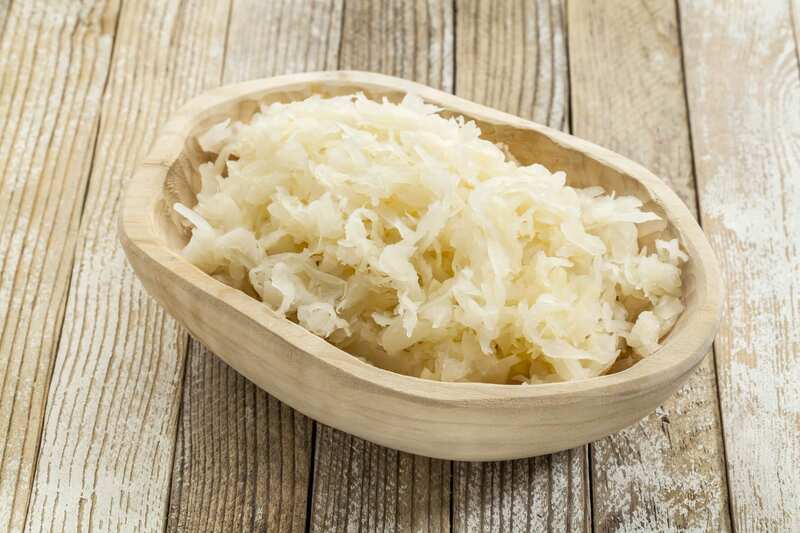 The BBC recommends this simple method of making your own sauerkraut at home, see here. With us your studies are 100% stress-free, without deadlines or commuting, void of heavy text books and involve no start up expenses, just the outright price of the course itself.